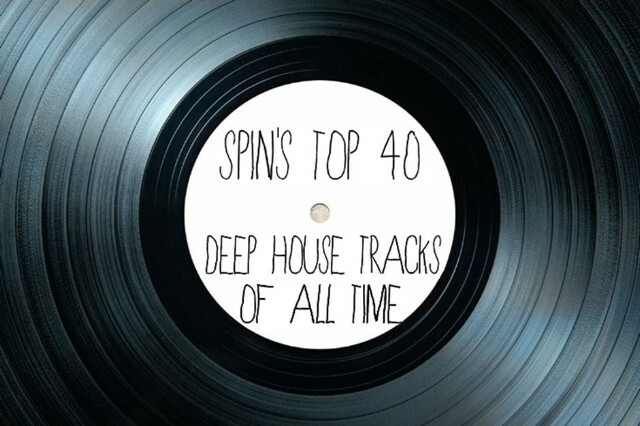 Here's our list of the best deep house music ever. Way back in the mid-1980s, when the disco gods appeared over the Chicago skyline and proclaimed, “Let there be house,” his acolytes responded, “And let it be deep.” And it was good. This month, the soulful sound scored a No. 1 hit on the U.K. pop charts with Storm Queen’s “Look Right Through,” a ’90s-flavored song by Metro Area’s Morgan Geist and busker extraordinaire Damon C. Scott that was first released on Geist’s Environ label in 2010. It was a more recent remix from ’90s deep-house mainstay MK (Marc Kinchen), and a summer’s worth of heavy club play, that finally pushed it to the top slot, on the back of MK’s recent success with remixes for Lana Del Rey, Sky Ferreira, and Disclosure. “Look Right Through” wasn’t a fluke. Duke Dumont’s “Need U (100%),” another U.K. No. 1, has logged more than 17 million plays on YouTube; its plunging bass line and sub-aquatic keyboard stabs are direct descendants of Kerri Chandler’s deep-diving take on New Jersey garage. Disclosure, the year’s biggest dance-pop crossover success story, draw heavily from the deep-house playbook in their lanky grooves and woozy atmospheres. Behind them, there’s a veritable groundswell of deep-house revivalists: Jamie Jones, Maya Jane Coles, Breach, Dixon and the Innervisions crew, Axel Boman, Hot Since 82 — even Bloc Party’s Kele Okereke has plunged into the full-fathom sound. We’ll be the first to admit that some of the attention has been misplaced. A lot of what gets flogged as deep house right now isn’t really worthy of the name; it’s mid-tempo, pop-dance fare with a 2-step twist, or it’s snoozy, monotone background music tailor-made for SEO plays on YouTube channels emblazoned with soft-lit hipster cheesecake. In fact, “deep house” itself is a retrospective term; in their heyday, many of the first songs in the canon were simply considered “house,” full stop. It was only later that a style assembled itself around the template those originators had set.